In an industry with notoriously tight margins, innovations that promise a little financial breathing room are always welcome. Right now, virtual reality is poised to provide exactly that to the restaurant industry. What’s remarkable about VR is that currently available applications exist to improve everything from strategic planning to employee training to customer shopping experience. Here’s an overview of what’s out there for all three. In today’s hyper-competitive food services landscape, most restaurant owners understand the power of optimizing. Whether it’s adjusting a floorplan or deciding where to set up branded promotional materials, small tweaks can result in crucial revenue increases. But actually making these adjustments is time- and labor-intensive… without virtual reality. With VR products (including our own ShopperMX), forward-thinking restaurant teams can test out and virtually interact with a variety of in-store layouts before committing. They can also run simulations of proposed menu and marketing changes to see how they resonate from the customer’s perspective. Even better? Because the software exists in the cloud, users can collaborate in real time with stakeholders. And beyond the world of small tweaks, VR software can help guide big-picture decisions like whether to add an in-store restaurant to an existing retail location – a groceraunt. The trend of “groceraunts” is growing in popularity and has proven capable luring shoppers who might have otherwise ordered groceries online. With the right VR software, resturants can provide crystal-clear visualizations of the groceraunt space to facilitate the decision-making process. That visual aid, combined with the compelling tendency for groceraunt diners to stay in stores longer and increase their basket size, could help tip the scales toward adoption. VR has already proven popular for training employees in high-risk fields like manufacturing, but restaurant owners are now discovering its benefits – for different reasons. Whereas learning dangerous processes in a digital environment can prevent worker injuries and save manufacturers money, restaurant training in VR can help lower the costs associated with learning on the job. In smaller restaurants especially, that savings might make a difference. Rather than having employees train on the job (which often forces the restaurant to absorb any costs associated with mistakes), VR training could offer a sped-up, low-risk alternative. One QSR giant has already adopted VR training. KFC’s use of a virtual reality training program has been hailed for its playfulness, its dissemination of core company values, and its ability to teach the preparation of the company’s signature chicken in just 10 minutes (analog training takes 25). In addition to back-end benefits for restaurant owners, the latest VR applications could also enhance the experience of customers. The QSR chain Culver’s, for example, has reportedly had success with augmented-reality games for in-store customers waiting for food. By tying in-app games with real-world prizes, Culver’s saw a significant uptick in app downloads and helped keep customers engaged at their tables. On the other end of the spectrum, Chicago’s Eater magazine reports on high-end virtual dining experiences that involve elaborate dish presentation coordinated with customized VR narratives experienced through a headset the diner briefly wears. And let’s not forget the “vocktails” that use VR to trick drinkers’ senses into thinking they’re consuming elaborate cocktails while sipping a glass of water. Until these types of offerings become mainstream, restaurant owners have the opportunity to distinguish themselves by making them available to diners. Whether you’re looking to improve big-picture strategy, tighten training schedules, or provide leading-edge customer experiences, there’s a VR application that could help you. And while all VR requires an upfront investment in equipment and/or software, it’s fairly easy to recover that investment as design updates yield higher returns. 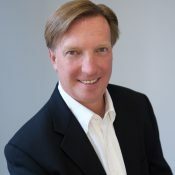 Mark Hardy is CEO of InContext Solutions, a provider of virtual reality solutions for retailers and CPG manufacturers.